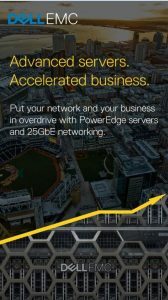 There’s never been a better time to adopt 25GbE, both from a technology and an economic perspective. As organizations push more traffic into their enterprise and private data centers, and with bigger “pipes” coming into the enterprise, more bandwidth is also required as data moves down across the fabric or top-of-rack switches (ToR). The bulk of today’s data center top-of-rack (ToR) switches support 10GbE connections in the rack and connect to higher speed 40/100GbE fabrics. 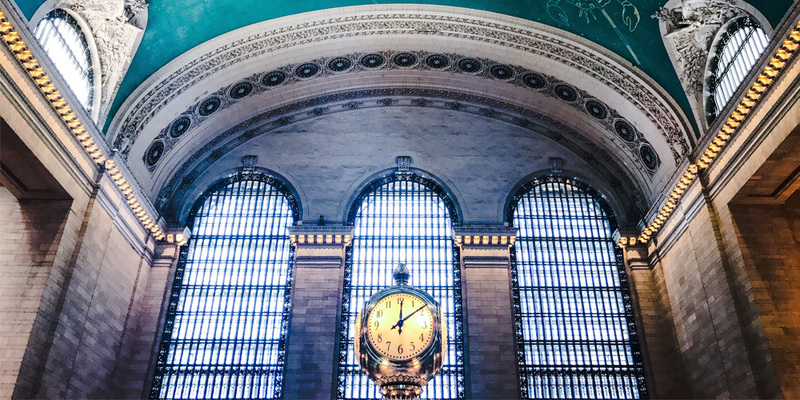 The next step in the evolution is for in-rack connectivity to move from 10GbE to 25GbE and for fabric uplinks to move from 40GbE to 100GbE. The availability of 25GbE switches and adapters has changed the economics of upgrading server-to-switch connectivity. New 25GbE chips use the same class of cables as 10GbE but deliver 2.5 times the performance, while using the same number of lanes as 10GbE on the ASIC chip. That means 25GbE switches can be produced very cost-effectively. Using a single lane on a switch or adapter, 25GbE ports also compare favorably to 40GbE technology that requires four lanes. Deploying 25GbE networks also enables organizations to significantly reduce the required number of switches and cables — along with space, power and cooling — compared to similar bandwidth solutions using 10GbE and 40GbE technology. Fewer network components reduce ongoing management and maintenance costs while more efficiently utilizing servers already in place. Most important, with 25/50/100GbE multi-rate connectivity, enterprises now have a path to 100GbE that is non-disruptive, can be implemented today and provides economical steps along the way. 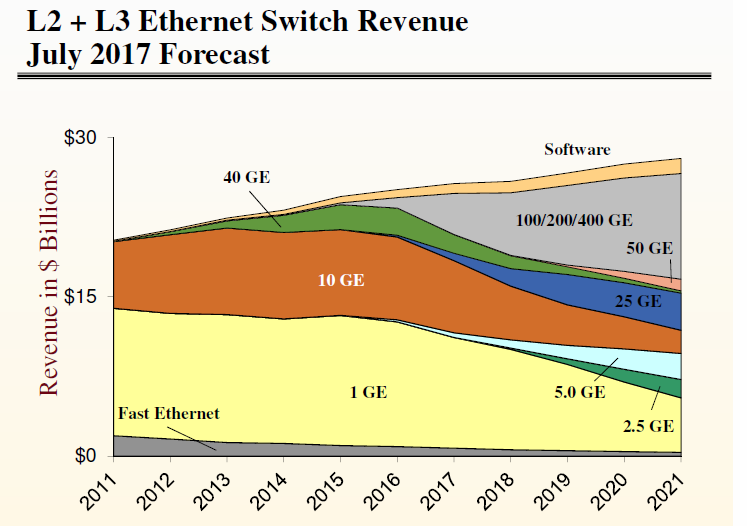 Considering the economics, it is no surprise that the move to 25GbE (and 50GbE) is accelerating — a recent five-year forecast by industry analyst Dell’Oro Group predicts 25GbE will deliver a significant amount of Ethernet bandwidth by 2018. It runs on a pair of cables just like 10GbE, so moving to 25GbE does not require any cabling infrastructure upgrades—it is fully compatible with the existing 10GbE infrastructure. In addition to implementing new technologies, many IT organizations are tasked with decreasing their CAPEX and OPEX expenditures and resources. IT departments are taking a hard look at making their data centers more efficient and simplifying operational and maintenance activities across the board. The push behind these mandated reductions vary from changing economic conditions to government requirements for green initiatives. With the recent introduction of the Dell EMC Networking S5048F-ON, we are committed to making 25GbE networking widely accessible. So much so that for a limited time, we’re introducing 25GbE for the price of 10GbE. Now that’s networking math that anyone can understand.